Wake up and enjoy the most stunning views, or cross the road and dip your toes in the Lake! 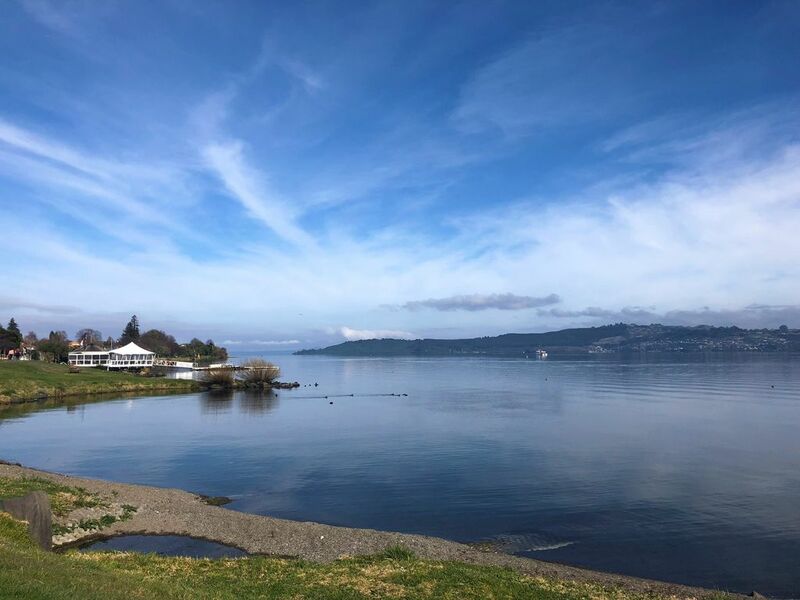 Located only a short drive from Taupo's Town Centre, this beautifully appointed apartment is the perfect place to enjoy a Lake Taupo getaway. Featuring 2 bedrooms, 2 bathrooms, modern open-plan kitchen & living area, sun-drenched balcony with electric BBQ, and the use of the shared swimming pool. You will love the unbeatable lake views which can be enjoyed from the living area, kitchen, master bedroom and balcony. No hidden costs! Linen, towels and exit clean is included in the nightly rate! Walking distance to the 2 Mile By Cafe & Water Sports Centre where you can enjoy a coffee, cold drink or wood-fired pizza on the lake! If paddle boarding, kayaking or yachting is your thing - you can hire them there also. Netflix and WiFi are provided for you to use. The bedding is 1x Split King, 1x Queen bed. Please let us know in advance if you would like the split king bed to be made as 2x single beds. There is a coin operated washing machine and drier within the apartment complex.